THE SECRET INGREDIENT BEHIND ANYBODY THAT ACHIEVES MASSIVE SUCCESS. Think of it like this: At first you are pushing a snowball uphill.. then that snowball gets bigger and bigger. Eventually all of your pushing and efforts get that ball to the top of the hill.. and boom! The ball now begins to roll down the other side of the hill on it’s own. Starting off slow then picking up tremendous speed and strength. Eventually creating a level of speed you never could of created on your own if you were still pushing. That is how your life can work personally and professionally. Momentum is built when all of that accumulated work (potential energy) is released. 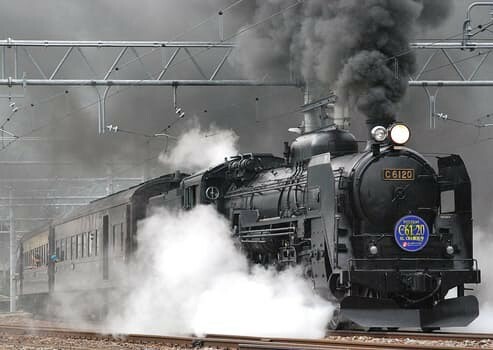 This is the moment you become a steam engine.. charging down the tracks with ferocious speed, confidence and energy. The magic is you start to believe in yourself like never before. You must be aware though: Once you achieve a certain level of speed/ success, you have to keep going. You may even surprise yourself and then become overly analytical- which is what momentum will help avoid. Don’t stop. Your state (mental state) will determine whether you can achieve momentum. If you are currently down in the dumps, beat up from previous failures and your thought life is dominated by such negatives.. it will be very difficult for you to triumph. You must change your mental state if you want to reap the benefits of momentum. Overcoming yourself, your past and your negative thought life are essential tools to eventual dominance. I have a friend of mine named Paul. He works down on a Wall Street, has a true passion for helping men over 40 get themselves back on track but he is consumed mentally with his day job and balancing his true passion. The day job provides security and other essentials that are needed when you have a young family.. but his passion brings him to life. About 3 months ago he decided to make a change in his health. Focusing on a running program that would take him from the couch to running over 3 miles in just a few months. The result after he committed were great. He lost 15 pounds and was feeling great; then the train came off the tracks. His state changed. He went from being a steam engine with free flowing momentum to saying.. “15 pounds is good enough”… now he may not of said this consciously but within him this decision was triggered and made. This led to missing one day , then another and then over 8 weeks went by with no treadmill running and the weight began to return. He was better than when he started but not the same Paul that was determined. He lost momentum. Once you lose it, it is very hard to get back. You must overcome yourself and your past to get the momentum ball rolling again. He is now back on track, building momentum and will return to dominance with his new commitment. His chances of success now are higher because he flipped his switch- made it personal and now is working from a position of positivity and strength as it relates to his newly established goal. He saw the darkness and realized the light is more favorable. “Playing a hot hand”… “He’s on a streak right now” are sayings that validate momentum. Spending my entire career in baseball you realize it is a very long season. The key to great management and winning though was playing the hand that was hot at the time. Playing the player that was hot. You can now clearly see this with a player like Aaron Judge, a rookie outfielder who was in jeopardy of being traded last year due to poor performance. Now he is in a position to be Rookie of the Year. Dominating the competition. He is playing everyday since he is the hot hand. He spent the off-season gaining momentum (training, revamping his swing) and now his ball is rolling down hill taking out anything in his way. That can be you. Start pushing, overcome the resistance (it is normal) and get yourself comfortable with the uncomfortable.